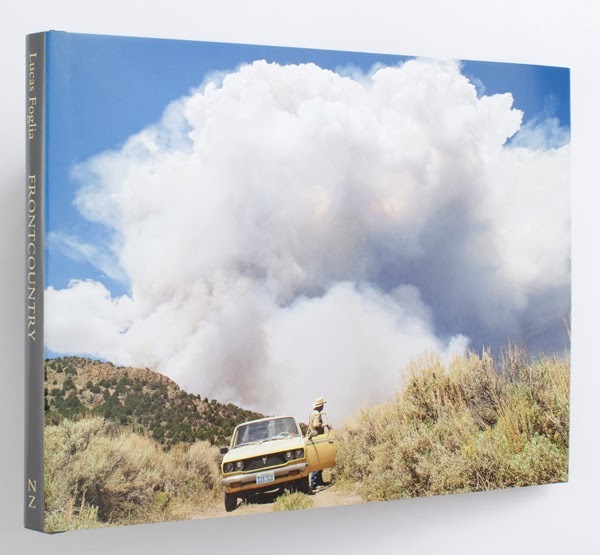 Interview Interview: Lucas Foglia on Frontcountry Lucas Foglia talks to Daniel Shea about his latest book Frontcountry, a look into the mining boom that is changing the social and physcial landscape of the American West. The seventh image in Lucas Foglia's book Frontcountry shows Tommy Trying to Shoot Coyotes in Oasis, Nevada. A man, holding a gun, balances on one leg on top of a single fence post, taller than he is. The pose is both awkward and elegant. The figure is struck with heavy photographic paralysis. He’s on a fence, an imaginary threshold with no clear indication of what’s on either side. The threshold is imaginary because humans imagine these boundaries, a recurring theme in Foglia’s practice, foregrounded here in a narrative about land usage and ownership in this last frontier. The photographs in Frontcountry explore a mining boom along one of the last domestic frontiers, photographed between 2006 and 2013 in rural Idaho, Montana, Nevada, New Mexico, Texas, and Wyoming. 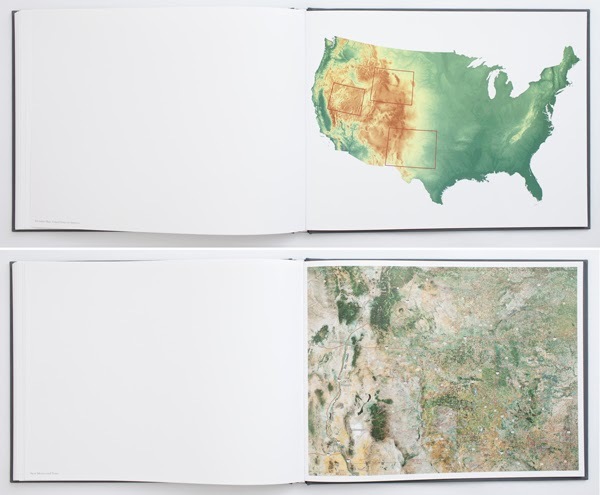 Foglia notes that these “are some of the least populated regions in the United States;” people often sparsely inhabit the pictures, many of which depict immense pictorial beauty. Tommy Trying to Shoot Coyotes is both typical and atypical of the pictures in this book; typical because it's rife with subtext and profound metaphor, both contained within its singular picture­hood and within the narrative scope, and atypical because the subject’s dance completely confounds my expectations. Frontcountry by Lucas Foglia. Published by Nazraeli Press, 2014. Frequently I’m left with a similar burning kind of disorientation while looking through this book, most often triggered by the human gestures. They fall, bend, twist and are kneaded into the hard dirt­fabric of the land. A sense of subtle violence or sexuality is pervasive throughout the portraits, but without an overt effect of making the subjects’ plight or normalcy seem spectacular (the easiest way to exploit both the apparatus and naive audience in photography). This book establishes the landscape as the obvious subject, and the horizon line consistently draws a single stroke throughout the book. But the portraits reveal the seams and speak more effectively to cause and effect. Or perhaps that suggests what I or we really want to be connecting to in photographs, other people. Even the quietest portraits in the book scream with such potent affect that I feel the full consumption of voyeurism and the inability to turn away from something so piercing, such as Stacey Before Church, Diamand Valley, Nevada. The sublime nature of these landscapes, which at first suspiciously confirms our own mental image of an expanding West and its bounty, are dramatically interrupted by the section of the book that directly explores the industry of mining. The first photograph after this section on industry, Stanley, Carlin, Nevada, 2012, shows a man walking on crutches crossing a railroad track, a church in the background. We travel through the boom and bust, often with precise and unambiguous metaphors, like Stanley’s amputation sequenced immediately after the extraction of resources in a vast landscape. In some ways, as Foglia’s practice has evolved to encompass new methods of picture­making and more metaphysical underpinnings, the politics of his work have become sharper and less buried in poetry. Daniel Shea: When did you decide how this book would read? Did you have an idea of what the images and sequencing would look like before the book was finished? Lucas Foglia: The jobs and lifestyles of the people I photographed inspired the narrative of the book. In the communities I visited, the two main industries were ranching and mining. What drew me to photograph was the idea that these two very different lifestyles share and depend on the same harsh terrain. 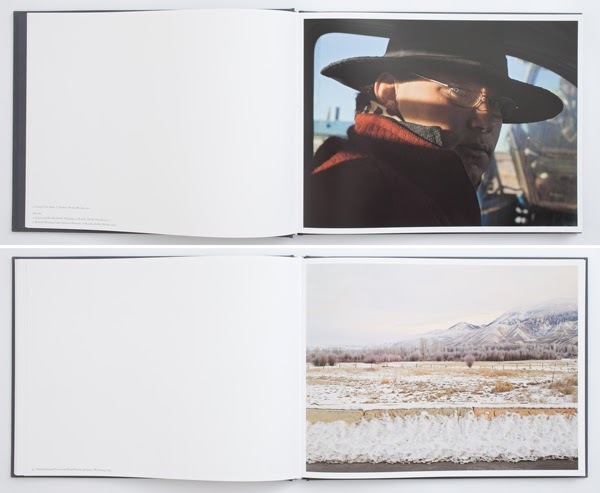 I began editing the project in 2012, and decided that the book should open with images of cowboys and gradually show the encroachment of the mining companies. After I started to select and sequence the images, I went back to the communities I photographed for another year, until I made photographs that felt like they completed the narrative. DS: Are you more rigid or relatively open while working on a project? LF: I like to spend time and collaborate. Some of my photographs are candid and others were suggested by the people I photographed. For instance, it was Tommy’s idea to shoot coyotes from the top of a fence pole. I try to be open to and ready for surprises. I photographed Tommy the moment before he fell off the pole. The question I guess I'm trying to articulate has something to do with balancing a subject's agency, and your allegiance to that kind of veracity (that they are at least 50% in control of the portrait) with your own intuition to bring out the weird, the disturbing, the subtle, the disarming qualities of human gesture? LF: Everything about what I do is social. I meet most of the people I photograph through friends of friends. Because I’m introduced to them by someone they trust, they trust me. It’s much more interesting to stay in someone’s home than at a hotel, truck stop or campground, and it helps to introduce me to more people, and to situations I wouldn’t find otherwise. And because the people I photograph trust me, the photographs can be intimate, and sometimes strange. DS: In this book, and definitely in A Natural Order, there is a pervading sense of violence and sexuality, the two often occurring simultaneously (the origin of life, the fate of death, pain and pleasure?). Your subjects are often drenched in deeply psychological offerings for your audience. Is this totally conscious on your part? LF: The expressions of the people I photograph come from the situations I photograph in, situations that I am a part of. Tom and Donnie, for instance, were looking at each other arguing about who would remove the rope from the cow’s horn. The soccer players are engrossed in a moment waiting for a ball. Stacy was looking at me. I think any expression that is honest is ambiguous, made up of mixed emotions. When a forest fire started burning outside of town, George's daughter asked me to keep him company. George raised cattle for most of his life. In his retirement he enjoys chasing wildfires. We drove on dirt roads with dust coming up through the floor of his truck, and then stopped at the hill with the fire burning on the other side. In the photograph, the fire cloud arcs over both of us. It reminds me of how immense and uncontrollable that landscape is, and of how thrilled and vulnerable I feel in it. DS: In those profound moments, like the one you are describing in George's truck, are you able to make sense of how large­-scale mining and industry became so pervasive in the region? LF: Everyone I photographed was working hard to be able to live there. Ranches still cover more land than mines in the regions I photographed, and there are still more cows than people in rural Nevada. Mining concentrates jobs, and helps to pay for towns for the miners to live in. And with modern technology, from the use of fracking fluids to extract natural gas and oil, to the use of cyanide to separate gold from rock, land that wasn’t valuable a few decades ago is now being mined. DS: How long is this current boom in this region expected to last? Do people in the communities talk about it in mortal terms? LF: All mines have a life cycle. Mines close once the valuable minerals are extracted, or in response to declines in the price of those minerals. Either way miners have to move, following jobs across the country. I don’t want to idealize agriculture, but I do think farming and ranching can be sustainable. They rely on water and sunlight. DS: You’ve now published two books that explore the extremes of our potential footprints. Is a foreseeable future a sustainable future? One that exists somewhere between the off the grid lives pictured in A Natural Order, and the blind conquest of the extraction industries pictured in Frontcountry? LF: A model for a sustainable future? I would be excited to see that. In real life, and in photographs. DS: What do these two books have in common? LF: For the past ten years I’ve photographed in rural communities across the United States. Both A Natural Order and Frontcountry explore how mythology inspires lifestyle, and how landscape shapes people into who they are. DS: As a follow­up question to this idea of a sustainable future, are you comfortable even expressing an opinion on that? Is that part of what you want the work to suggest, your position? LF: I hope that my photographs provoke people to look, to ask questions, and to find their own answers. Frontcountry was just published by Nazraeli Press. Purchase book or pre-order a signed copy here. The photographs from Frontcountry will be on exhibit at Fredericks & Freiser Gallery in New York from March 20 to April 19, at Michael Hoppen Contemporary in London from March 27 to May 10, and at Robischon Gallery in Denver from September 18 to November 1, 2014. Foglia's previous book, A Natural Order was published by Nazraeli in 2012. Read Laura Moya's interview with Lucas Foglia on A Natural Order here. Read the review by Antone Dolezal here. Daniel Shea is an artist based in New York City working in the mediums of photography, installation and sculpture. He published his first monograph, Blisner, Ill. in conjunction with a long-term residency at Columbia College Chicago and a book release at the Museum of Contemporary Photography and will publish the follow-up book in September 2014 through fourteen-nineteen books. He recently completed a residency at Light Work in Syracuse, NY. He has exhibited at The DePaul Art Museum, The Museo de Arte Acarigua-Araure, Venezuela, MDW Art Fair, the Moscow Museum of Modern Art, Asia Society in Beijing, and Gallery 400, among others. His work has been featured in The New York Times Magazine, Sculpture Magazine, The Fader, New City and Esquire Russia. He received his MFA from the University of Illinois at Chicago and is represented by Andrew Rafacz Gallery in Chicago.